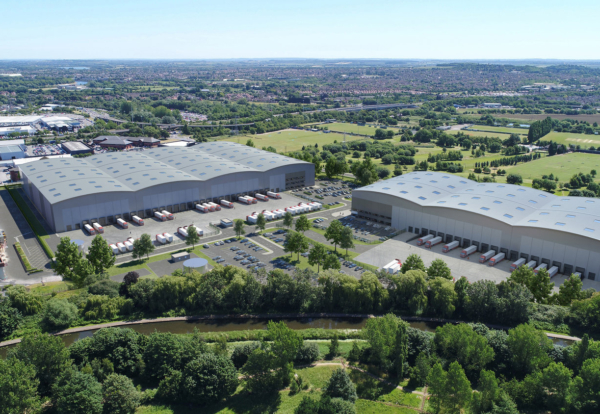 Henry Boot’s development arm has submitted plans to redevelop the former Imperial Tobacco site in Nottingham with new industrial buildings. The firm plans to invest £60m developing around 500,000sq ft of industrial building and warehousing. Boot purchased the site last summer in a multi-million pound deal. The past twelve months have seen it undertake extensive works on site to improve the retained distribution warehouse, still home to Imperial Tobacco. Completed works include new car parking, along with heating plant and utilities to separate it from the Horizon manufacturing building, which will be demolished to make way for the new scheme. The new development, named ‘New Horizon’, will stretch over the southern half of the site, covering 28 acres and providing up to 500,000 sq ft of new industrial buildings for a variety of uses. “We have already undertaken some selective demolition of the Horizon building, and the remainder will be completed throughout the late summer and autumn period. The landmark 48-acre site had been home to Imperial Tobacco’s UK production and distribution facility since the late 1960’s, before production moved overseas in 2016.